Much like the coconut oil craze, recipes for detox water have been floating around the internet like they'll solve all your problems and make you lose 20 pounds overnight. But do they really? According to the Mayo Clinic, putting some fruit in your water or doing a juice cleanse is not scientifically proven to detoxify your body. 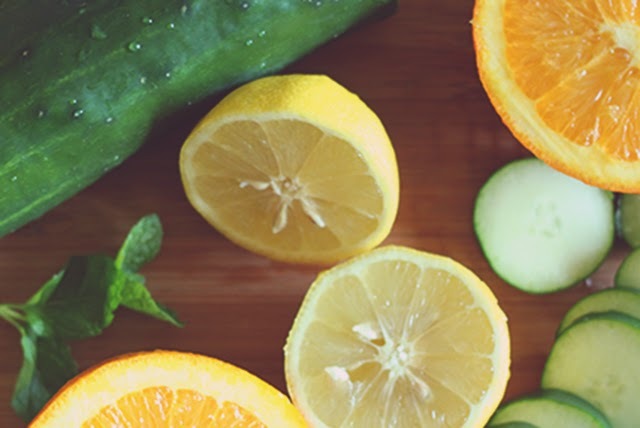 The body is designed to "detox" itself, so assuming your organs are functioning as they should, you don't necessarily need to add a bunch of fruits and veggies to your water to make it healthier. Normal water is pretty healthy, too, and has many benefits. That being said, infused water tastes better than the plain Jane, boring stuff you get at restaurants when you don't want to pay $3.00 for a Dr. Pepper. I have to really make a point to drink my water. My tendency is to drink coffee like it's going out of style, and given the choice, I would rather drink a raspberry mocha than a glass of H20. However, I know how important it is to stay hydrated by drinking water, so I gave this fancy water a shot. Why? 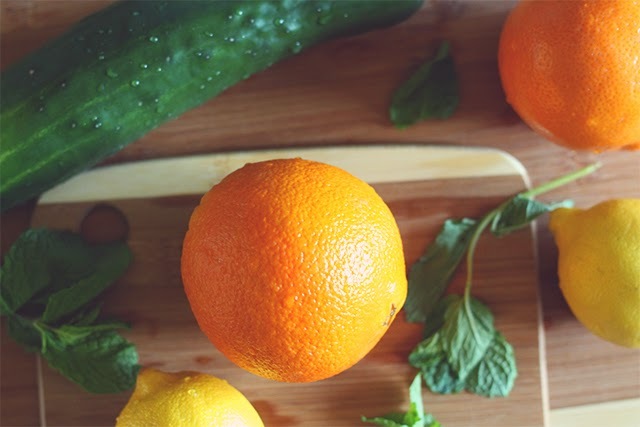 Any way that you can get a little more Vitamin C in your life will boost your immune system. Why? In addition to other health benefits, lemon water can be great for your skin. 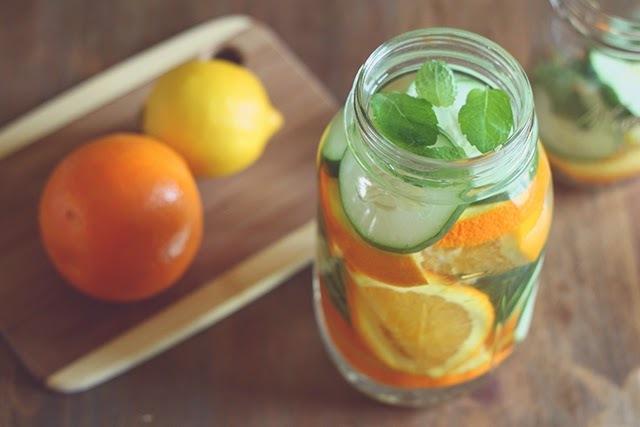 So, will detox water make your organs squeaky-clean and cause you to lose 20 pounds? Maybe not. Is detox water going to cut your cravings for BigMacs? Probably not. But a common misconception of hungry people is that they want food when they are simply dehydrated. Regularly drinking water can help cut out the dehydration pangs, so you can be sure that your body is actually hungry for food when your stomach starts growling. So, does detox water work? If it makes you drink more water, yes. 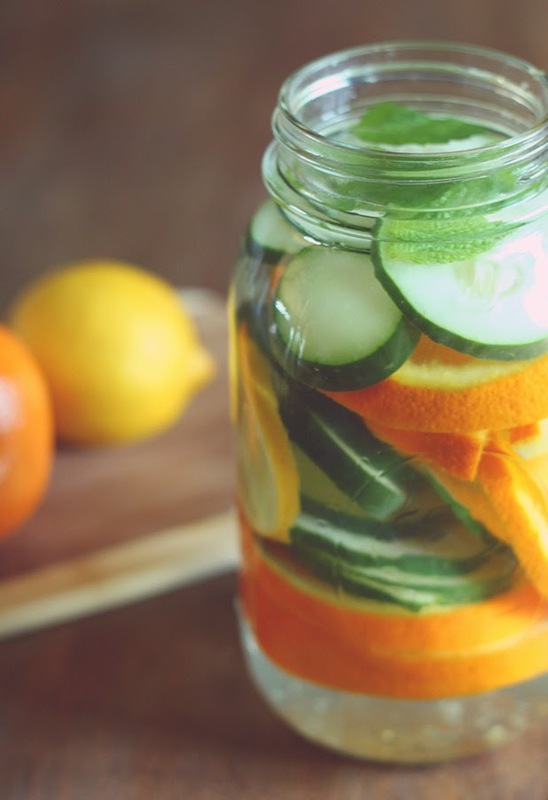 Infused water is a great substitution for soda, and it's easy to sip on throughout the day without feeling guilty or consuming a lot of unnecessary sugars. Unfortunately, this is no substitution (in my opinion) for coffee. Nothing (in my opinion) is a substitution for coffee. I've never been able to make myself drink 8 glasses of water a day (how does anyone do that?? ), but putting fancy fruits in my cup certainly makes me want to get that much closer. 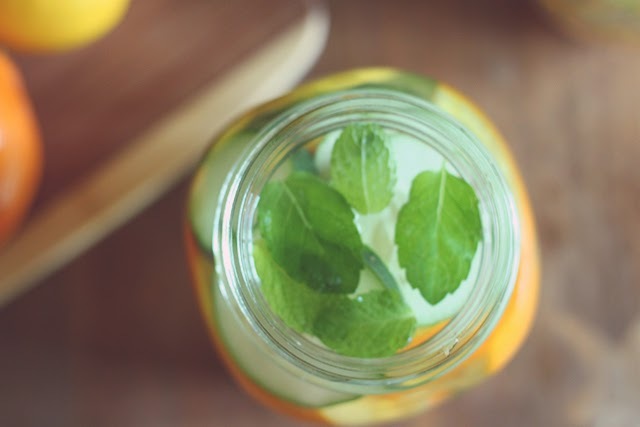 Cheers to detoxing-- err, whatever that means! I must be dehydrated all the time, as I'm always craving junk. Of course, that doesn't surprise me considering I drink a lot of Coca-Cola, as there is no substitution for Coca-Cola, in my opinion. :) Loved this. Beautiful photos! Makes me want to start sprucing up my water. I definitely need something to keep me drinking water all day. I literally forget I'm dehydrated. It leaves me feeling fuzzy headed a lot. Not good. Now I want to try adding citrus and mint to my glass. I drink more than 8 glasses of water a day! A nalgine is 4 glasses and I drink like 3 a day! HAHA. I love the idea of making fancy water but when I am working, it is harder to cut something up than just go to the sink! 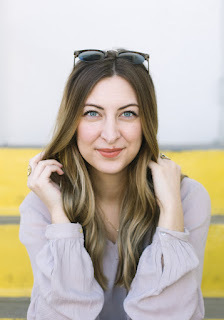 First of all, it's my first time to your blog (found you at the jack of all trades link up) and I already love it! Great design, so pretty, very fun- just love!! And hooray for detox water! I have been making mine with lemon, cucumber, and mint. I make it in a giant pitcher so I have enough for the whole day- plus it tastes like a spa! I think I'll copy-cat you and try some orange in mine next time though- sounds so yum! Great post, really enjoy it. So interesting! I'm actually not a huge fan of flavored water, I like my water plain, with ice. I know, I must be weird. But I do like the idea of adding mint, now if I could just get my mint plant to grow! Love this post - healthy AND it looks super pretty. It would be great to serve it in a big glass pitcher at a dinner party, too. Nice article. However, potassium is not vitamin K. Potassium is a mineral with the symbol K on the periodic table of chemical elements. Thank you for pointing that out! I like the article but that was driving me crazy!